In the US, two-thirds of low-wage workers experience wage theft. 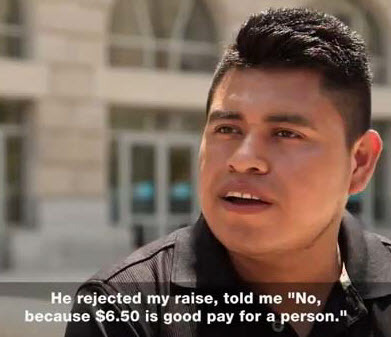 Fault Lines investigates wage practices in the restaurant industry, to find out what happens when workers are not paid what they are legally owed. Without harbor truck drivers moving freight containers into and out of our ports, the U.S. economy would virtually come to a halt. But instead of being treated with dignity and respect, they are treated like sharecroppers on wheels. Visit the Clean & Safe Ports site.